Just came back from a wonderful set of steel music. At the Triple Door tonight, The Earshot Jazz Festival 2011 presented The Campbell Brothers. Pedal-steel guitar ace Chuck Campbell, his lap-steel playing brother Darick, and their sizzling band deliver devoutly rocking Holiness-Pentecostal repertoire with growling, wailing, swinging steel. 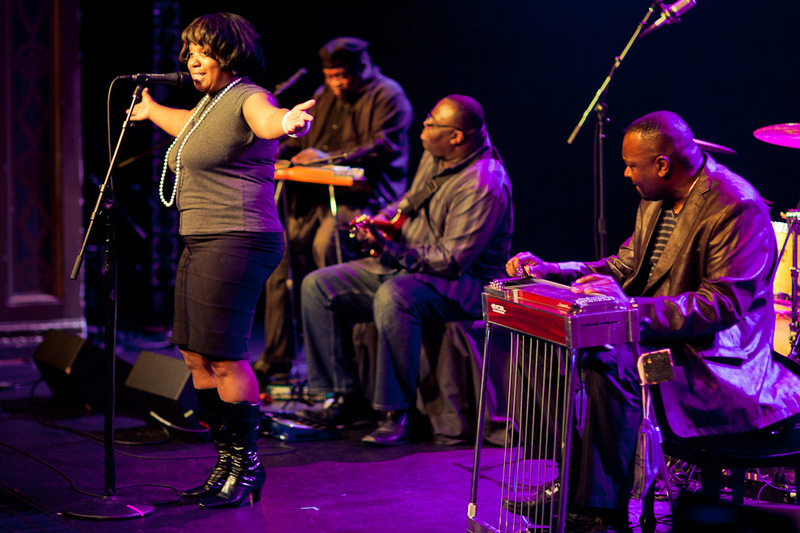 The group includes another Campbell brother, Phil (electric guitar) and his son Carlton (drums), as well as Katie Jackson’s soul-curing vocals. Phil mentioned that the band that played late into the Saturday night at a honky tonk downtown, had the same musicians showing up in church Sunday morning to play the gospel music with the service. Its all sacred music to them. 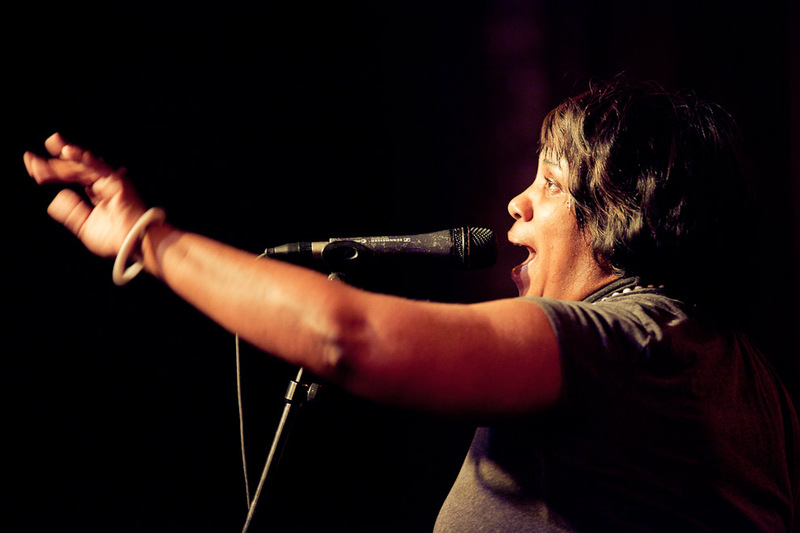 See who will be playing this week in upcoming concerts in the Earshot Jazz Festival Schedule. rowling, wailing, shouting, singing and swinging voice of the steel guitar, played as you have never heard it played before. 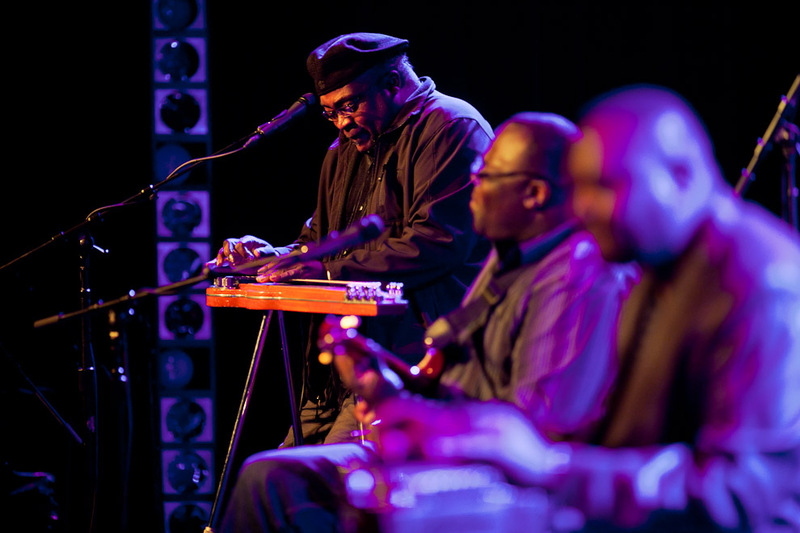 Chuck Campbell began playing the lap steel guitar at the age of 12. 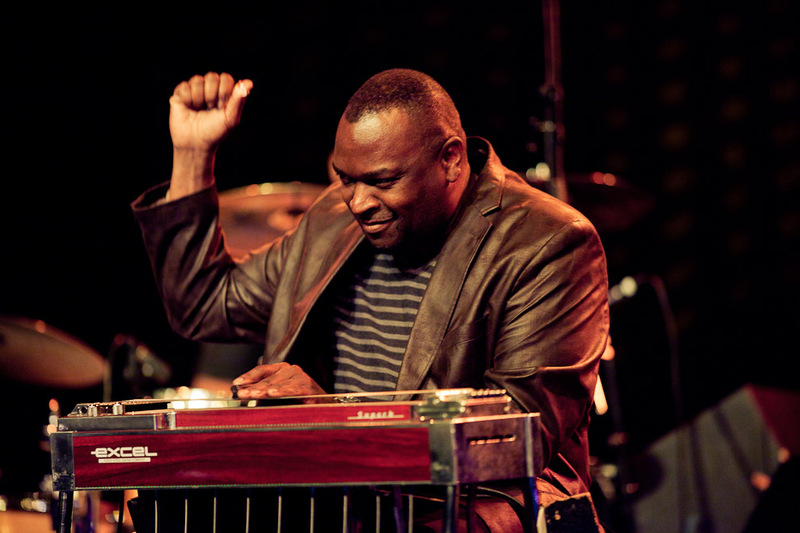 At the age of 17, he became one of the first players to utilize the pedal steel guitar in the House of God Church, Keith Dominion. Campbell is renowned for his innovative approach to the instrument both technically and musically. His use of effects such as distortion and wah pedal and his picking techniques enable him to emulate the human voice in an uncanny fashion, which evokes images of gospel moaning and field singing. His inventive blending of many styles, along with his groundbreaking use of complex chords and fast picking, formed the musical style which is the most emulated among young sacred steel players today. Darick Campbell first made his mark in music as a drummer. For several years, he was the premier drummer of the General Assembly, the National Convocation of the House of God Church, in Nashville, Tennessee. 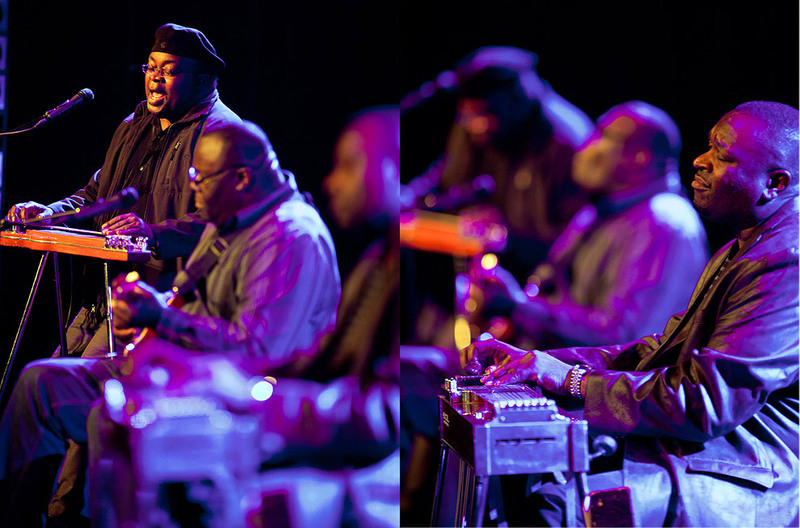 His choice of the lap steel is a reflection of the influences he has blended to become the most emotional player of the Campbell Brothers’ musical tour d’ force. Phillip Campbell began life as a drummer but quickly proceeded to the instrument which is arguably his most accomplished, the bass guitar. It was on the bass that he began to explore the many genres which form his eclectic musical personality. Phil combines the rhythmic attributes of the guitar with MIDI guitar synthesis to bring a unique stylistic blend. 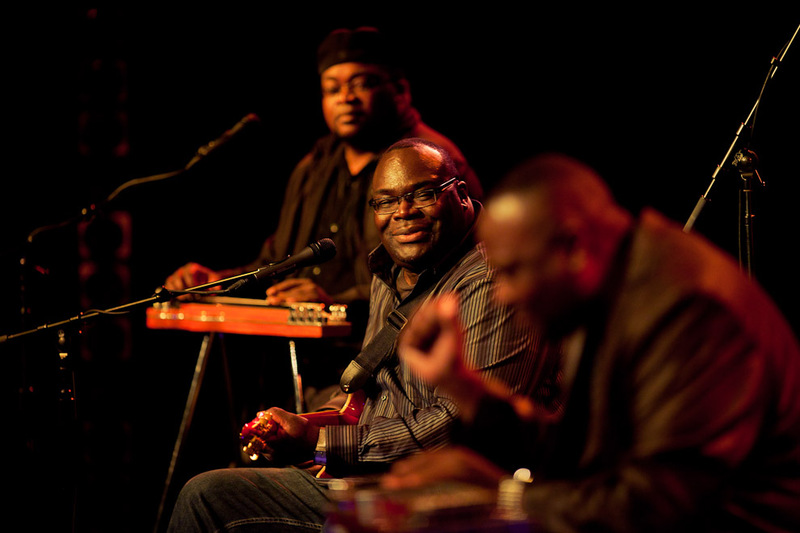 Drummer Carl Campbell is the heartbeat of the Campbell Brothers. Carl and dad, Phil, form the rhythmic foundation upon which the Campbell Brothers soulful gospel is built. Formally trained in jazz percussion, Carl has been able to assimilate the classic rudiments of drumming with his improvisational upbringing in church to formulate a style which always finds itself in the groove. The fact that Katie Jackson is a part of the Campbell Brothers is the result of unbelievably good fortune. She just happened to be “available” when the Campbell Brothers asked her to be the vocalist on their critically acclaimed Pass Me Not disc. 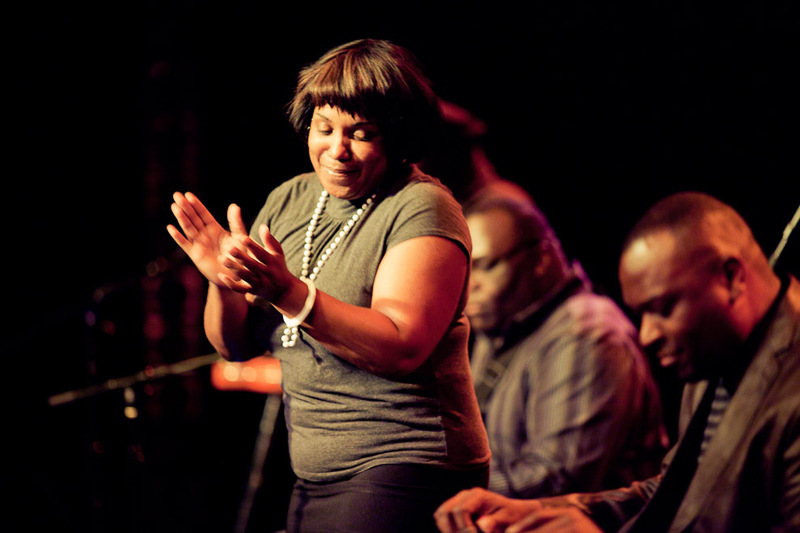 Indeed Katie Jackson has shared the stage with some of gospel’s most famous singers, including Mahalia Jackson (no relation) and is well renowned throughout the eastern United States for performances she has given in numerous venues.